Sprint introduced Samsung Conquer 4G in 2011, but still it proves to be one of the best 4G enabled Android budget phone on the network. Users who want to root Conquer 4G and want to try some Ice Cream Sandwich or Jelly Bean based ROM can easily do it using the below detailed tutorial. We have also included a small guide to unroot conquer 4G. This procedure has been made easy by SuperOneClick root. Warning: The article deals with rooting of your device. Therefore, we or the developer will not hold any responsibility for any damage caused to your phone in the process of following this article. We would be bringing up information about some stable and working Android 4.4 Kit Kat ROM very soon. Step 1: The article is only for the users who own Samsung Conquer 4G. Step 2: Please charge your device so that there is at least 70% charge with it, this way there will be no Power interruption during the process. Step 3: Please backup all valuable data’s on your phone, so that there is no data loss during the process. Step 4: Disable all Security programs like Antivirus and Firewall from your computer and uninstall the same from your phone, as these security programs generally tend to interrupt the process. 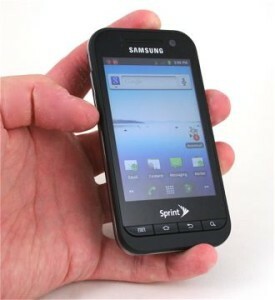 Step 5: Enable USB Debugging in your Samsung Conquer 4G from the path “Settings > Applications > Development > USB debugging”. The option of USB Debugging should be ticked. Download SuperOneClick Tool, Terminal Emulator, ES File Explorer, Asset File and ClockworkMod Recovery Image from here to your computer. Extract the “SuperOneClick tool” and “Asset File” into separate folders onto your desktop. Install the Terminal Emulator and ES File Explorer onto your Conquer 4G. Finally, place the flash-image (can be found in the folder where you have extracted the Asset File) and CWM Recovery Image into the root directory of your phone’s SD Card. Step 1: First of all, connect your phone to the PC using original USB cable i.e. the cable that came with it. Step 2: Now, from the folder where you have extracted the “SuperOneClick Tool” double-click on “SuperOneClick.exe” to launch it. Step 3: When the application opens up, click on “Root” button from it to root your device. Your Samsung Conquer 4G in now rooted. Step 1: Connect your phone to PC using original USB cable. Step 2: Now, open the “ES File Explorer” app on your device. Step 3: Next, move the “flash_image” file to “/data/local/” directory. Step 4: Now, close the ES File Explorer app. Step 5: Next, open the “Terminal Emulator” app on your device. Step 7: While the last command is executed, you may get an error, but it is normal and will not affect the installation process. Step 8: Finally, reboot your device. Step 1: To unroot your device once again, from the folder where you have extracted the “SuperOneClick Tool” double-click on “SuperOneClick.exe” to launch it. Step 2: When the application opens up, click on “Unroot” to unroot your device. Step 3: Soon the unrooting process will complete. Great! You have successfully rooted your Samsung Conquer 4G and installed ClockworkMod Recovery on it. You can also unroot it whenever you want from the steps mentioned above. Do let us know if you have any queries, we are here for you always.